Cannabis sativa L. and Nonpsychoactive Cannabinoids: Their Chemistry and Role against Oxidative Stress, Inflammation, and Cancer. “In the last decades, a lot of attention has been paid to the compounds present in medicinal Cannabis sativa L., such as Δ9-tetrahydrocannabinol (Δ9-THC) and cannabidiol (CBD), and their effects on inflammation and cancer-related pain. The National Cancer Institute (NCI) currently recognizes medicinal C. sativa as an effective treatment for providing relief in a number of symptoms associated with cancer, including pain, loss of appetite, nausea and vomiting, and anxiety. Several studies have described CBD as a multitarget molecule, acting as an adaptogen, and as a modulator, in different ways, depending on the type and location of disequilibrium both in the brain and in the body, mainly interacting with specific receptor proteins CB1 and CB2. CBD is present in both medicinal and fibre-type C. sativa plants, but, unlike Δ9-THC, it is completely nonpsychoactive. Fibre-type C. sativa (hemp) differs from medicinal C. sativa, since it contains only few levels of Δ9-THC and high levels of CBD and related nonpsychoactive compounds. In recent years, a number of preclinical researches have been focused on the role of CBD as an anticancer molecule, suggesting CBD (and CBD-like molecules present in the hemp extract) as a possible candidate for future clinical trials. CBD has been found to possess antioxidant activity in many studies, thus suggesting a possible role in the prevention of both neurodegenerative and cardiovascular diseases. In animal models, CBD has been shown to inhibit the progression of several cancer types. Moreover, it has been found that coadministration of CBD and Δ9-THC, followed by radiation therapy, causes an increase of autophagy and apoptosis in cancer cells. In addition, CBD is able to inhibit cell proliferation and to increase apoptosis in different types of cancer models. These activities seem to involve also alternative pathways, such as the interactions with TRPV and GRP55 receptor complexes. Moreover, the finding that the acidic precursor of CBD (cannabidiolic acid, CBDA) is able to inhibit the migration of breast cancer cells and to downregulate the proto-oncogene c-fos and the cyclooxygenase-2 (COX-2) highlights the possibility that CBDA might act on a common pathway of inflammation and cancer mechanisms, which might be responsible for its anticancer activity. Cannabis in palliative care: current challenges and practical recommendations. “Pain and symptom control challenges are common in palliative care, and the search for other therapeutic strategies is ongoing. Unfortunately, patients and their caregivers are receiving little information or support from healthcare providers regarding the increasingly popular cannabinoid-based medicines (CBM). Clinicians, meanwhile, feel understandably perplexed by the discrepancy between the available evidence and the rapid interest in which patients and their families have demonstrated for CBM. There is an urgent need to address the many challenges that are delaying the appropriate integration of CBM into clinical practice, notwithstanding the obvious need for a solid general knowledge of pharmacology, mechanism of action and available clinical evidence supporting its use. The authors will address these challenges and provide practical recommendations regarding patient assessment for the use of CBM. The authors will also make suggestions regarding patient expectations in order to define clear objectives, review the necessary precautions prior to initiating treatment, aid in selecting the appropriate strain and route of administration as well as establishing proper titration and monitoring protocols. The authors will also discuss the lesser known but potentially therapeutic psychoactive effects of cannabis. Therapeutic Symptomatic Strategies in the Parasomnias. “The purpose of this review was to discuss the currently available pharmacologic and non-pharmacologic treatment options for parasomnias. Cannabinoids proved to be effective in some of parasomnias, as in many other neurological disorders. Cannabis for Chronic Pain: Challenges and Considerations. “Cancer is a major public health problem as the leading cause of death. Palliative treatment aimed to alleviate pain and nausea in patients with advanced disease is a cornerstone of oncology. In 2007, the Israeli Ministry of Health began providing approvals for medical cannabis for the palliation of cancer symptoms. The aim of this study is to characterize the epidemiology of cancer patients receiving medical cannabis treatment and describe the safety and efficacy of this therapy. We analyzed the data routinely collected as part of the treatment program of 2970 cancer patients treated with medical cannabis between 2015 and 2017. The average age was 59.5 ± 16.3 years, 54.6% women and 26.7% of the patients reported previous experience with cannabis. The most frequent types of cancer were: breast (20.7%), lung (13.6%), pancreatic (8.1%) and colorectal (7.9%) with 51.2% being at stage 4. The main symptoms requiring therapy were: sleep problems (78.4%), pain (77.7%, median intensity 8/10), weakness (72.7%), nausea (64.6%) and lack of appetite (48.9%). After six months of follow up, 902 patients (24.9%) died and 682 (18.8%) stopped the treatment. Of the remaining, 1211 (60.6%) responded; 95.9% reported an improvement in their condition, 45 patients (3.7%) reported no change and four patients (0.3%) reported deterioration in their medical condition. 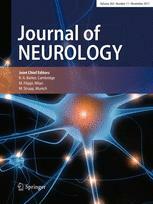 Cannabidiol inhibits pathogenic T cells, decreases spinal microglial activation and ameliorates multiple sclerosis-like disease in C57BL/6 mice. “Cannabis extracts and several cannabinoids have been shown to exert broad anti-inflammatory activities in experimental models of inflammatory CNS degenerative diseases. Clinical use of many cannabinoids is limited by their psychotropic effects. However, phytocannabinoids like cannabidiol (CBD), devoid of psychoactive activity, are, potentially, safe and effective alternatives for alleviating neuroinflammation and neurodegeneration. Treatment with CBD during disease onset ameliorated the severity of the clinical signs of EAE. 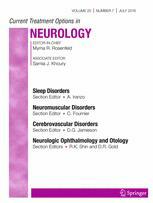 Cannabidiol in patients with seizures associated with Lennox-Gastaut syndrome (GWPCARE4): a randomised, double-blind, placebo-controlled phase 3 trial. “Patients with Lennox-Gastaut syndrome, a rare, severe form of epileptic encephalopathy, are frequently treatment resistant to available medications. No controlled studies have investigated the use of cannabidiol for patients with seizures associated with Lennox-Gastaut syndrome. We therefore assessed the efficacy and safety of cannabidiol as an add-on anticonvulsant therapy in this population of patients. Cannabidiol restores intestinal barrier dysfunction and inhibits the apoptotic process induced by Clostridium difficile toxin A in Caco-2 cells. “Clostridium difficile toxin A is responsible for colonic damage observed in infected patients. Drugs able to restore Clostridium difficile toxin A-induced toxicity have the potential to improve the recovery of infected patients. Cannabidiol is a non-psychotropic component of Cannabis sativa, which has been demonstrated to protect enterocytes against chemical and/or inflammatory damage and to restore intestinal mucosa integrity. The purpose of this study was to evaluate (a) the anti-apoptotic effect and (b) the mechanisms by which cannabidiol protects mucosal integrity in Caco-2 cells exposed to Clostridium difficile toxin A.
Clostridium difficile toxin A significantly decreased Caco-2 cells’ viability and reduced transepithelial electrical resistence values and RhoA guanosine triphosphate (GTP), bax, zonula occludens-1 and occludin protein expression, respectively. All these effects were significantly and concentration-dependently inhibited by cannabidiol, whose effects were completely abolished in the presence of the cannabinoid receptor type 1 (CB1) antagonist, AM251. “In the last decade, cannabinoids extracted from the marijuana plant (Cannabis sativa) and synthetic cannabinoids have shown numerous beneficial effects on gastrointestinal (GI) functions. Non-psychotropic phytocannabinoid cannabidiol (CBD) is one of the most interesting compounds, since it exerts a wide range of beneficial pharmacological actions on GI functions, ranging from antioxidant to antinflammatory activities. CBD has been shown to act as a non-competitive negative allosteric modulator of CB1 receptors. Notably, CBD is able to restore in vitro intestinal permeability increased by ethylenediaminetetraacetic acid (EDTA) or pro-inflammatory stimuli. Clostridium difficile infection is the leading cause of hospital-acquired diarrhoea and pseudomembranous colitis. Clostridium difficile-Toxin A significantly affects enterocytes permeability leading to apoptosis and colonic mucosal damage. In the present study, we showed that Cannabidiol, a non-psychotropic component of Cannabis sativa significantly inhibit the apoptosis rate in TcdA-exposed cells and restores barrier function by a significant RhoA GTP rescue. We also provide evidence that the effects of Cannabidiol are mediated by CB-1 receptor. “Despite an increasing number of anti-epileptic drugs (AEDs), the proportion of drug-resistant cases of epilepsy has remained fairly static at around 30% and the search for new and improved AEDs continues. Cannabis has been used as a medical treatment for epilepsy for thousands of years; it contains many active compounds, the most important being tetrahydrocannabinol, which has psychoactive properties, and cannabidiol, which does not. Animal models and clinical data to date have suggested that cannabidiol is more useful in treating epilepsy; there is limited evidence that tetrahydrocannabinol has some pro-convulsant effects in animal models. The mechanism by which cannabidiol exerts its anti-convulsant properties is currently unclear. Reversal of age-related cognitive impairments in mice by an extremely low dose of tetrahydrocannabinol.